Have you recently been in accident that was not your fault? Russell and Hill have expert personal injury lawyers ready to take on your case. If you have sustained serious injuries while on the road, in the workplace, or as a pedestrian, our experienced personal injury attorneys are here to help. We have represented thousands of personal injury victims throughout Washington and Oregon, and we are committed to helping each Snohomish individual receive the compensation they deserve. If you have been injured working aboard a ship, Maritime Law and The Jones Act provide additional benefits to injured seamen, on top of the compensation for your injury. Contact us today by filling out our free evaluation form or contact us to schedule a free consultation. 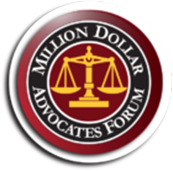 Monetary compensation is a primary end goal in any injury case. Due to the hospital bills, lost wages, and future medical needs, finances immediately become an issue for someone who has been seriously injured. In order to recover your peace of mind and financial stability, we will help you obtain full and fair monetary compensation for all your injuries and losses. At Russell & Hill, PLLC, our highest priority is the comfort and compensation of every client. We understand how incredibly stressful a personal injury claim can be, and we know how your world can completely change in the blink of an eye—all because another driver was negligent. Our knowledgeable attorneys will guide you through the process of filing the personal injury claim, taking it to the insurance company, and settling with full financial compensation. When we take on a case, our attorneys work closely with the client, carefully investigating the cause of the accident and the extent of the injury. 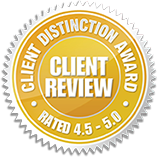 Additionally, in order to better represent every client, we are in contact with personal injury experts who help prove the client’s claim. We partner with accident scene reconstructionists, for example, who examine evidence like vehicle and property damage to help us demonstrate exactly what caused the injury. We also incorporate medical testimony from our clients’ doctors to prove the extent and severity of their injuries. And, similarly, we bring in vocational experts to demonstrate how the injury has inhibited our clients in the workplace, maybe even keeping them from working at all. All of this information will be important during SSDI proceedings—the more complete a case is, the more likely it will succeed both in a settlement and before a jury. Once we determine how the accident happened and who was responsible, we will pursue any monetary damages that our client is entitled to receive. This compensation will regain finances lost through medical expenses, recovery time, inability to work, and anything else that was a direct result of the personal injury. Our team of experienced personal injury attorneys will present your claim and negotiate with insurance companies for fair compensation. The insurance companies know that we prepare every case to be successful during a settlement or at trial, so they take us seriously. 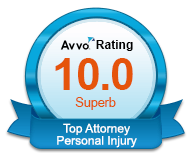 They know our attorneys are aggressive and hardworking, passionate about every client and case. They put in the time and effort necessary to build a powerful, winning case every time. 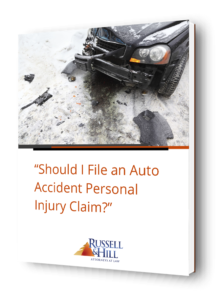 If you have been injured in a car or workplace personal injury accident in the Snohomish area, contact Russell & Hill, PLLC by filling out our free personal injury evaluation form or call to schedule a free initial consultation.